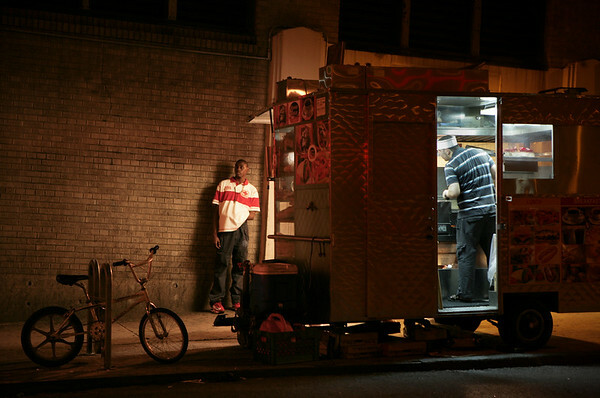 This hot dog van, DUMBO Grill, parks itself outside York St subway station in Brooklyn most summer nights, and does a steady trade. It's not the healthiest eatery, but the bratwursts are to die for. This was taken in 2011 while wolfing one down across the street. I can almost hear the vendor: "Hey, buddy, you want sauce wid dat?"